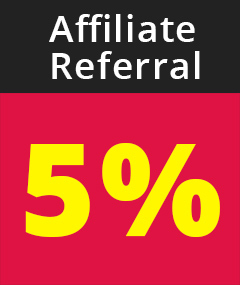 For VOD, when customers come to our site via an affiliate, the affiliate used to get 8% of whatever the total is for the items in the customer's shopping cart. We have bumped that number up to 25%! For our subscription service, our affiliates get compensated on a PAY PER SIGN-UP system, where the commission you receive is 90% of each first monthly subscription. Commission is only applicable for first time users of the subscription service. There are over 200,000 different video products and 20 channels to promote on R18.com. We offer an unprecedented amount of titles to promote the perfect blend of niche content for your website and to your traffic. Unlike other websites that give you a limited amount of content to promote, you are free to mix and match whatever you see fit, to drive your margins through the roof!